What is the cost of wedding photography? This depends on what you need. How many hours of coverage do you need? Do you want an engagement shoot? Do you want coverage for the rehearsal dinner? Do you need two or more photographers? Do you want a beautiful leather bound album? Do you want duplicate albums? Would you like a DVD slide show of the best images with your own music as the sound track? Our weddings typically range from $1,395 to $7,500, but the best approach is to set up a meeting which allows us to understand your needs and make recommendations that fit your budget. What does every photography package include? Everyone gets on-line hosting with at least $200 credit for professional prints. Everyone gets a DVD of optimized images. 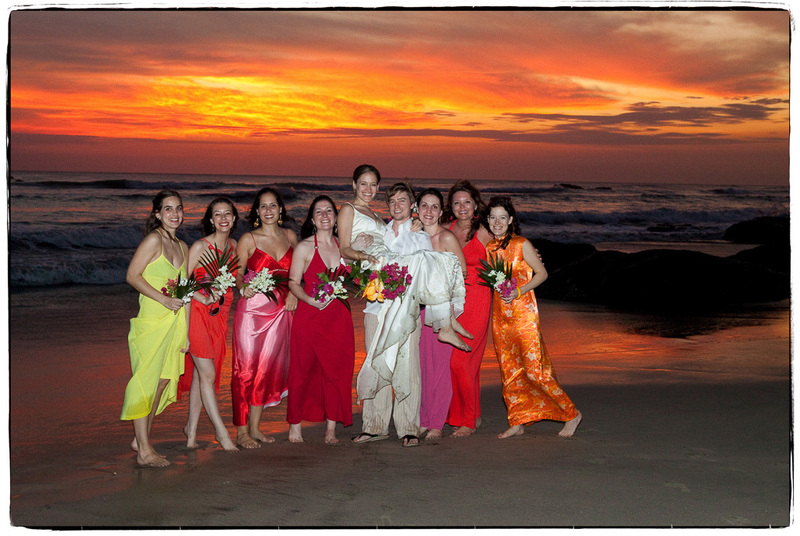 Everyone gets superb professional images that capture the emotions of the day or the event.